The city of Kolkata which is the cultural capital of East India and located on the banks of River Hooghly is blessed with awe-inspiringly beautiful geography. But what makes this city an even more awesome setting is the charming hills surrounding it which act as quaint, serene and calming destinations, offering the people of Kolkata the perfect chance at unwinding. These thrilling hill stations situated nearby covered with kaleidoscopic orchards, magnificent tea gardens, stunning hills, abundant greenery, rich biodiversity, and peace-laden monasteries make them the perfect spots for short weekend trips. 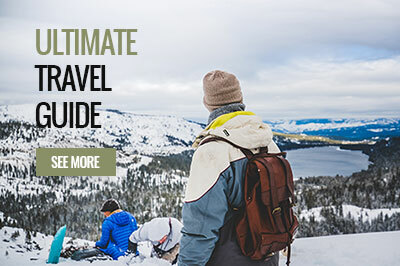 So, if you are one of those people who have a soul of a wanderer and sustain an undying love for exploring your beautiful surroundings then you should really be checking out these places. Here is the list of the best holiday destinations in March located near Kolkata that might be helpful in deciding your next weekend destinations. The beautiful state of Sikkim that is situated in the North Eastern part of India holds immense natural beauty. This sensual paradise, set against the backdrop of Kanchenjunga is the best holiday destination in March. Right from the state’s capital Gangtok that renders bewildering mountain views, to the other major hill destinations like Pelling, Ravangla, Lachen, Yuksom, Namchi, and Singhik, the state is brimming with hill stations promising exhilarating and unforgettable experiences. You can stay with us V Resorts Bliss Village Sikkim which is approximately 100 kms away from the city of Gangtok and offers 360-degree views of panoramic hills and valleys. This scenic destination which is popular for its Tibetan Buddhism influenced culture and several Buddhist monasteries is one the best holiday destinations in March. The place is situated at an elevation of 1,065 meters above the sea level and has been known to charm tourists with its temperate climate, colonial architecture, beautiful orchids, and lovely locals to visit again and again. The delicious food here that includes Momos, Churpee, Thupka and much more is yet another thing that allures tourists. You can also visit Pedong which is a hill town located at a distance of 20 kms east of Kalimpong, while you are here. The place lies on the elevation of 1240 meters and is best known for the small hiking adventures that it offers. This ideal weekend getaway destination for people from Kolkata is the twin town of Darjeeling. Located at an elevation of 1495 meters, Mirik is a must visit for travelers looking for serene beautiful experiences. The most beautiful attraction here is the stunning Sumendu lake, which has lush green gardens on one side and Pine trees on the other. The lake is also well known amongst the tourists for its entrancing boating experience. If the quiet mountain life and incredible waterfalls are what speaks to you, then Shillong is where you should be headed. This small hill station that is tucked away quietly in between the Garo and Khasi hills, houses not one but two amazingly beautiful lakes perfect for relaxing and catching on some solitude, will surely leave you awestruck. The city has many golf courses, zoos, and museums that you can explore on your vacation. Also, you have to head out to the popular Shillong peak which is the highest viewpoint here, and experience the eagle’s view of distant hills and waterfalls while you’re there. Believe us, it’s a must! You can stay at V Resorts Sha Ri Loum Homestay Shillong which is surrounded by the pine-laden hills and experience the local culture of the state while you are visiting this best holiday destination in March. This little town is a perfect getaway for travelers who are trying to escape the bustling city of Kolkata. The place is a perfect holiday destination in March because of its favorable climate, enchanting tea gardens and moss-covered flower orchards. The misty mountain peaks and the impressive waterfalls give the place a picturesque setting giving the impression as if it belongs to a fictional book. The town is a favorite amongst photographers and an ideal spot to hang out for nature lovers. A writer at soul, a traveller by heart.